At J. White Contracting, Inc. our priority is to create a lasting relationship with our clients throughout the construction process. Our expertise in small- and large-scale projects makes us leaders in delivering projects on time and on budget. Our teams are fully licensed and experienced in managing each project. Here at J. White contracting, Inc. safety is top priority. We believe not only in the safety of our crews but our customers as well. That is why each employee at J.White Contracting, Inc. completes all state and federal safety training requirements. Each job site brings new challenges and safety concerns and that is why we perform mandatory safety trainings on job sites. 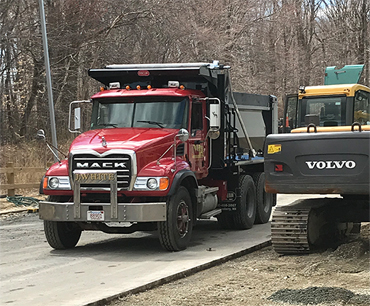 Our teams of personnel are here to assist you throughout your project, evaluating conditions, addressing issues and solving any problems that might arise. Whether it is retail, commercial or residential J. White Contracting, Inc. can provide you with the expertise, proper equipment and personnel to complete almost any residential or commercial construction project on time and on budget. Since 2007, J. White Contracting, Inc. has been providing quality service in residential, commercial and municipal work. J. White Contracting, Inc. is fully equipped and ready to perform any of your residential, municipal, and commercial utility installation needs. 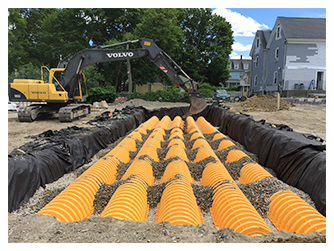 Our services include, but are not limited to: sewer and water main installation, drainage, septic system installation, and underground electric. 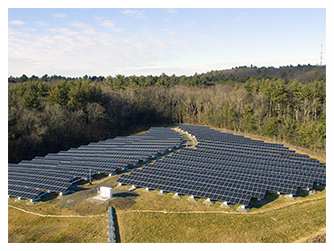 Partnering with multiple solar firms throughout New England, J. White Contracting, Inc. provides exceptional service in the development of solar fields. J. 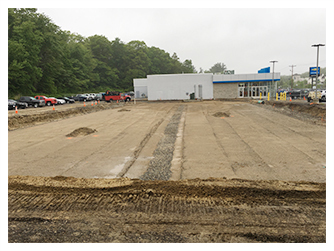 White Contracting, Inc. has performed work on multiple landfills, open space land, and assisted in urban solar construction. Solar construction tasks include road way installation, drainage improvements, trenching and duct bank installation, ballast and post driven systems and concrete pads.